The Christian Wife Life: InstaFriday! I barely made it in time for InstaFriday. This week has FLOWN by. Lots of church activities, basketball, cleaning, and having people over - which has been awesome. These pics are gonna be oh so random. Here's one of my family's cats. This one is Floyd. This other one is Pink. They are cute and cuddly and I love them. This is what Jordan and I do when we get to relax. 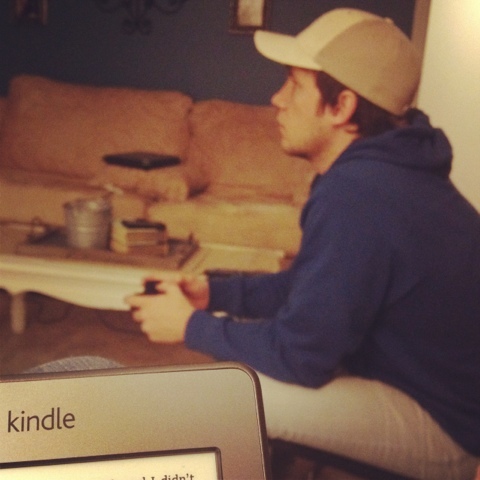 Squeezing in some reading and Call of Duty. Speaking of reading, tonight I starting re-reading this amazing series. It's crazy how fast these have gotten insanely popular. I read them last summer, but I finished them in a few days. So now I'm reading them more slowly before the movie comes out. March 23rd! Can't wait! Anyway, sorry, I'm snapping back to reality. 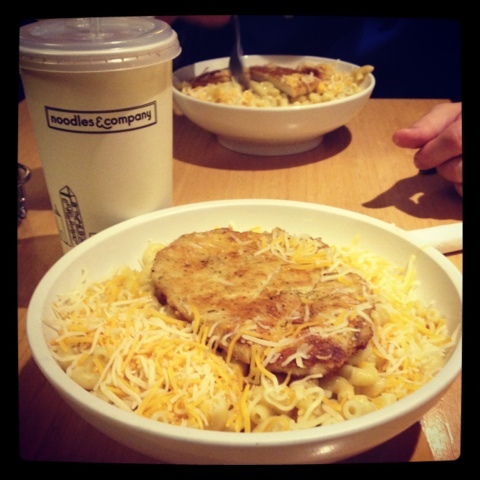 I love their mac and cheese with chicken. It is seriously SO good. I'm linking up with Life Rearranged! Your relaxing time looks a lot like me and the hubs! And oh how I love the Hunger Games, countdown for the movie is on! I love the 'first date' date too! We go back every anniversary to the restaurant where we had our first date or whenever we are celebrating something big! I love the picture of Floyd! How adorable! :) Also, I am super obsessed with The Hunger Games as well! :) I cannot wait for the movie to come out! 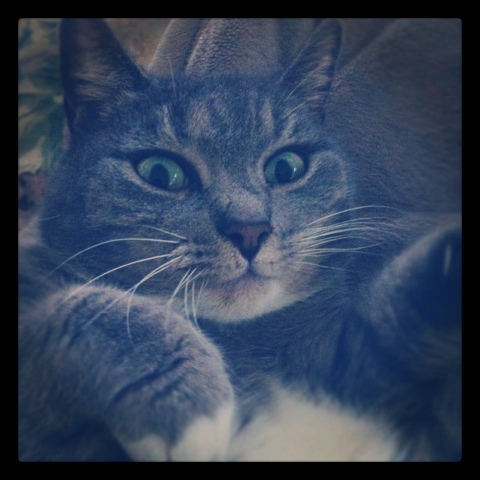 that picture of your cat is great!! 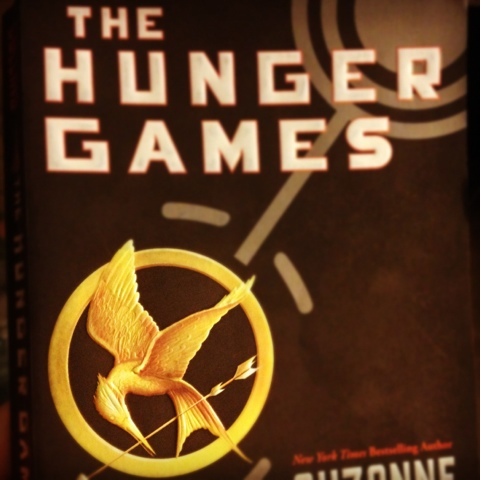 im currently reading the third book of the hunger games... soooo good!! can't wait for the movie to come out either. Noodles and Company? Never heard of it but it looks deadly and amaaazing! In love with the hunger games! I'm about halfway through book 2.I can't wait to try Noodles & Co. We just got them here in Pittsburgh. Stopping by from Life Rearranged! I tried Noodles and Co for the first time this weekend...so good! I just read all three of those books in 4 days! It's the first fiction I've read in years and that is the very reason why! I neglect too much when I get wrapped up in a book like that. They were great though.